“That’s like asking me which of my children I love the best!” I respond. But truth be told, having the ubiquitous “bucket list” is a lot of fun. In addition, the actual planning of a trip and the anticipation of good times has added emotional benefits. More anticipation = more happiness. 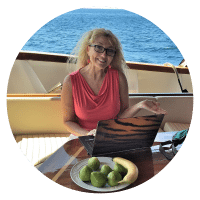 So, instead of trying to narrow down one place in a world full of adventure, beaches, food, festivals, hot and cold climates, and iconic sights, I give recommendations of places that they simply must add to their bucket list. Shanghai is my favorite city in China. From the extensive Yuyuan Gardens in the Old City, the amazing acrobats, the savory, crispy Peking Duck… to the backstreet bargains where “made in China” is a good thing. But it was the Bund that stole my heart. It’s an upscale riverside boardwalk with colonial-era European-style buildings on one side and a sci-fi-looking skyline just across the river that’s even more amazing at night. If you’re a Game of Thrones fan, you’ll be ecstatic. If you’re not a fan, you’ll still be thrilled with the fairytale medieval city overlooking the azure Adriatic. It’s easy to see why this city has mesmerized the masses—it’s nothing short of magical. 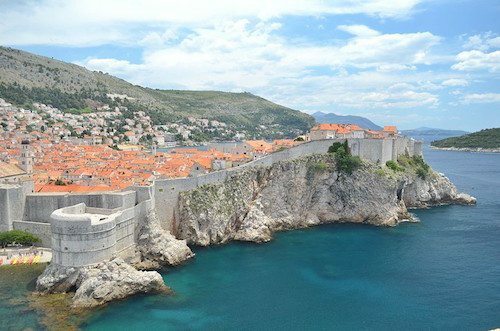 Ancient castles, old fortified stone walls, red-roofed buildings, and narrow cobblestone streets all run down to the bluest sea imaginable. Mesmerizing turquoise water lapping onto pristine sugar-sand beaches: There isn’t a prettier beach anywhere in the Caribbean. 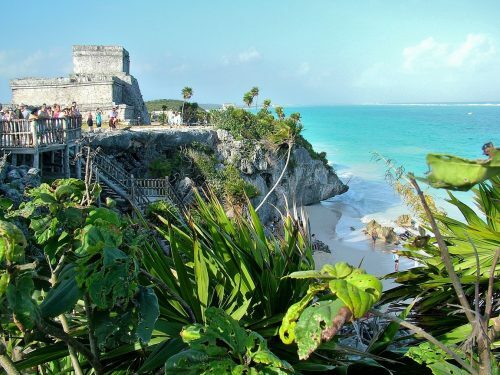 If you can tear yourself away from Tulum’s laid-back beach vibe, the first thing you’ll want to do is explore the pre-Columbian ruins for which the area is named. A day pass at eco-friendly Xel-ha includes access to a lazy river, snorkeling, bicycles, food, and drinks. Or head for one of the close-by cenotes, the fresh water sinkholes that were once considered sacred by the ancient Maya. Through the opening in the top of the cenote caves, sunlight and roots filter down to the pools, creating an ethereal feel. Phuket is Thailand’s tropical paradise. Dubbed “the Pearl of the Andaman,” it’s the largest and most well known of the islands in the Andaman Sea. It’s a place full of adventure, including white river rafting at Chalong Bay, sea kayaking at Phang Nga Bay with over 100 towering limestone “islands” rising precariously out of the shimmering emerald green water, or taking a boat over to stunning Ko Phi Phi where the Leonardo DiCaprio movie The Beach was filmed. Author James Michener declared it “the most beautiful island in the world” and I concur. 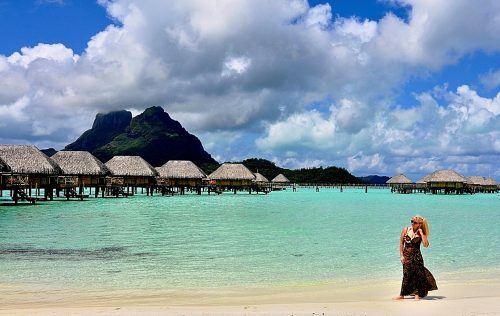 On Bora Bora, you can chill out from your private balcony of your overwater bungalow or engage in more adrenaline-inducing activities like shark feeding, swimming with stingrays, or diving at the technicolor coral reef. Ride a 4×4 open-air jeep up the steep, craggy volcanic terrain to enjoy the panoramic views. You can even schedule a non-binding wedding ceremony where you’ll sail to a secluded motu (small island) in an outrigger canoe dressed in traditional Polynesian garb and flowers! The northeast coast of the Land Down Under is filled with surprises and adventure. Of course there’s the Great Barrier Reef, the world’s longest coral reef system. But you’ll also want to go to Whitehaven Beach, frequently name in the top 10 beaches in the world. Then there’s the oldest rainforest in the world, which you can reach via a sky cable or scenic railroad. You’ll want to get your fill of the aboriginal culture. Oh, and don’t forget to try the vegemite! Let me know when you’ve visited these amazing places… When you get back, I’ll have another six waiting for you!